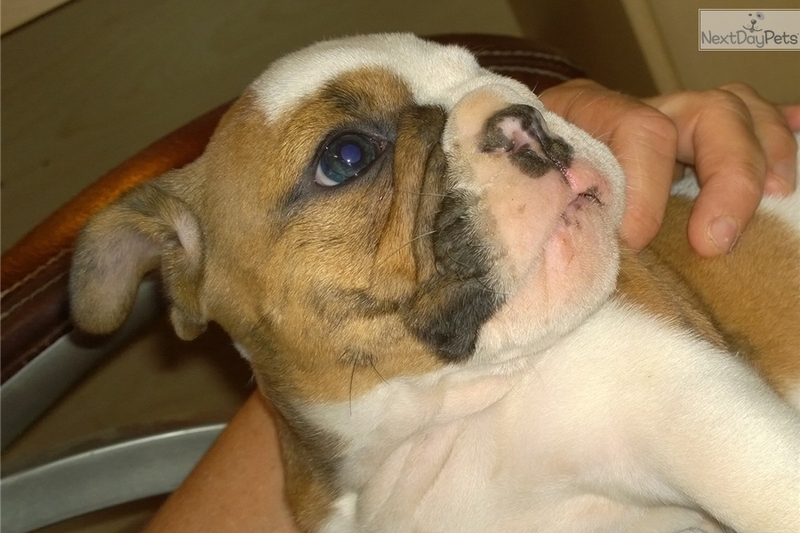 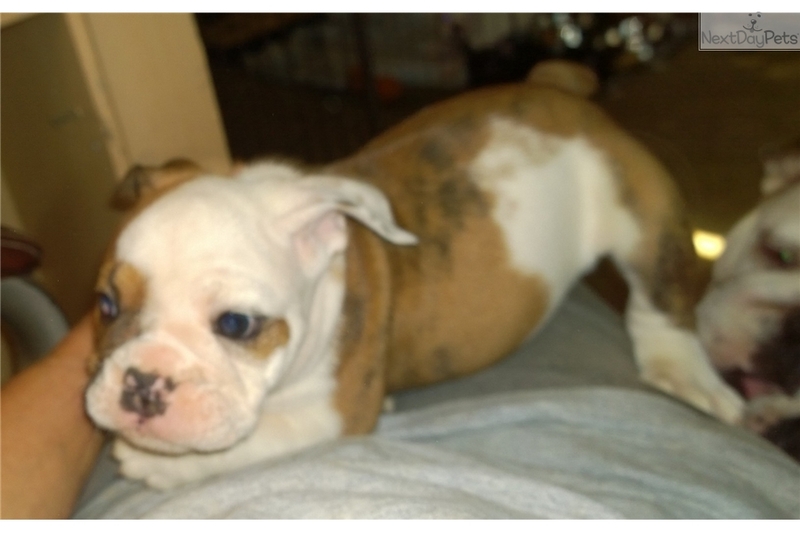 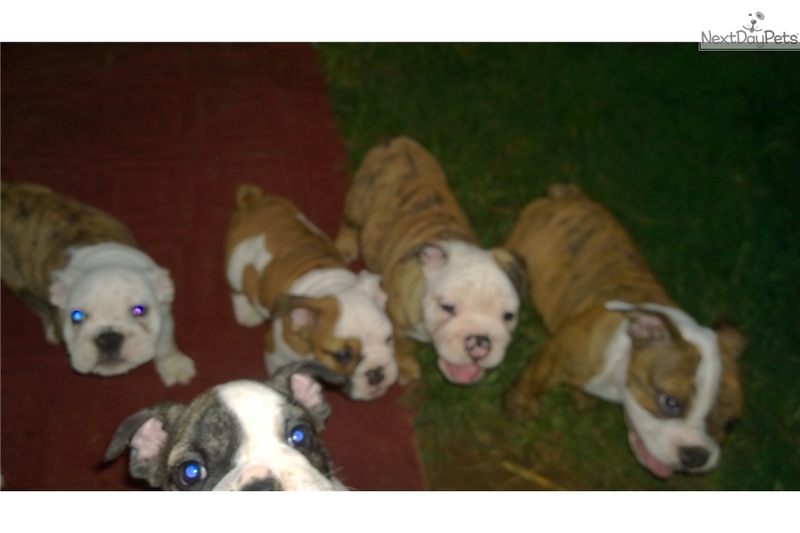 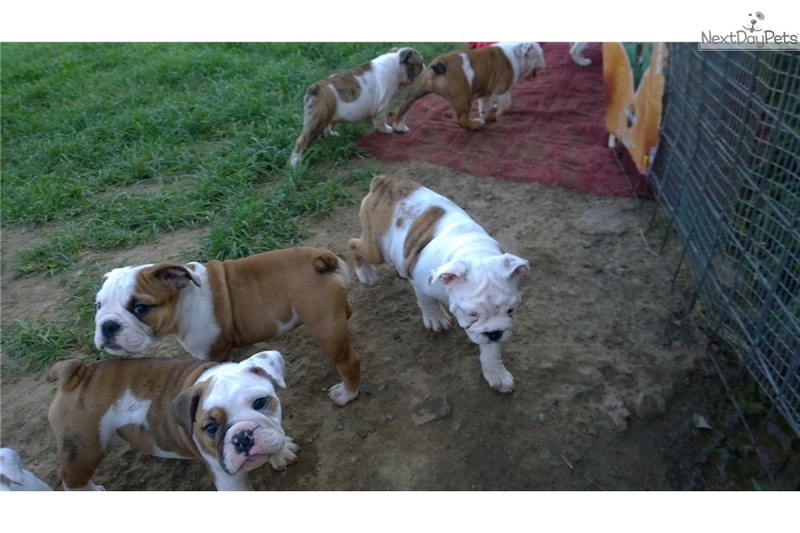 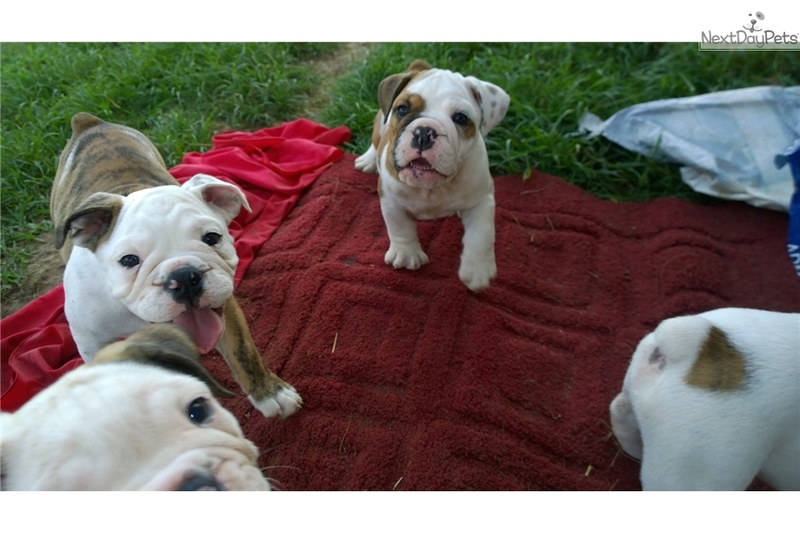 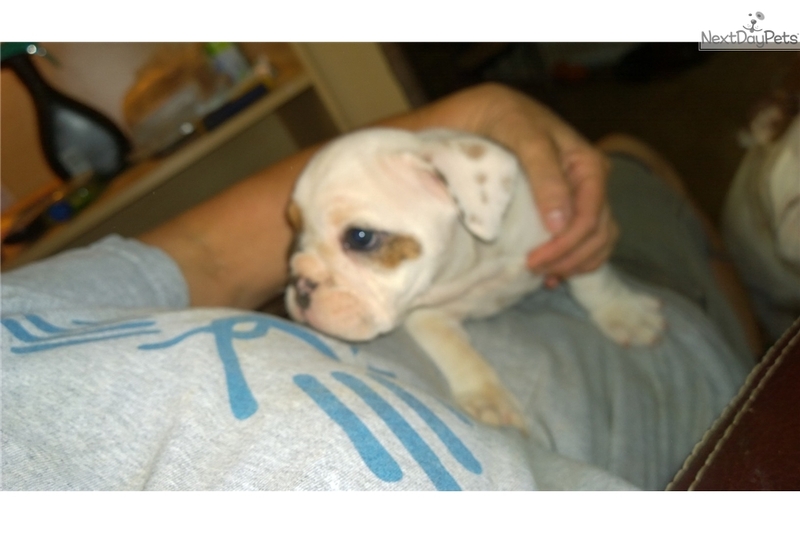 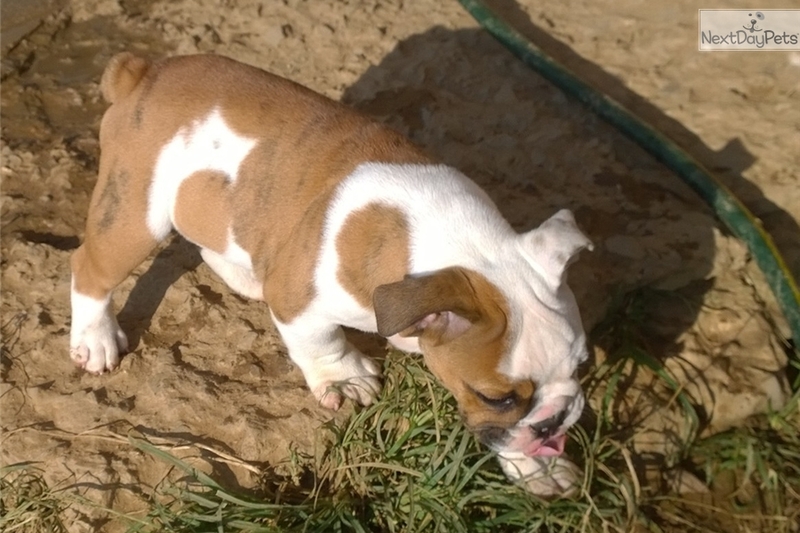 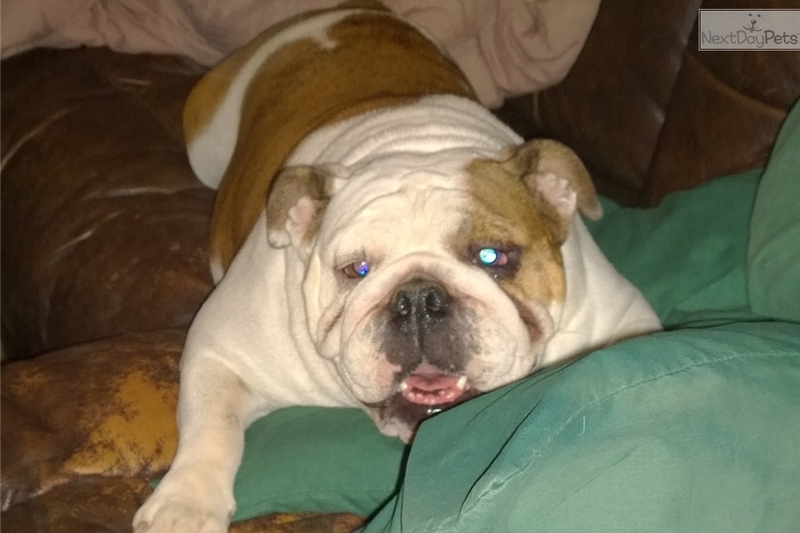 This English Bulldog nicknamed Johnny sold and went to a new family. 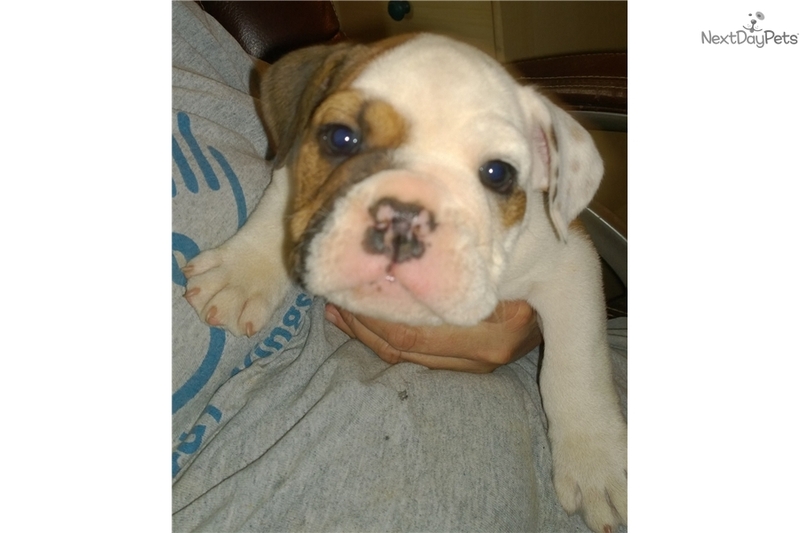 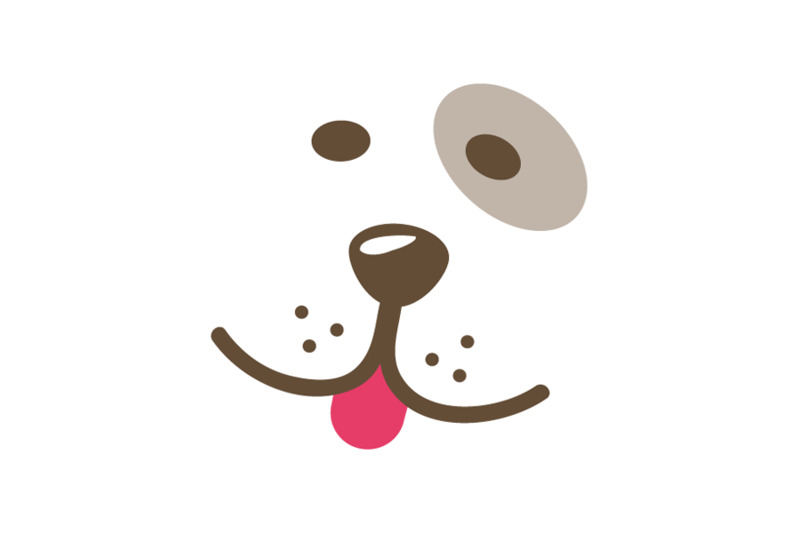 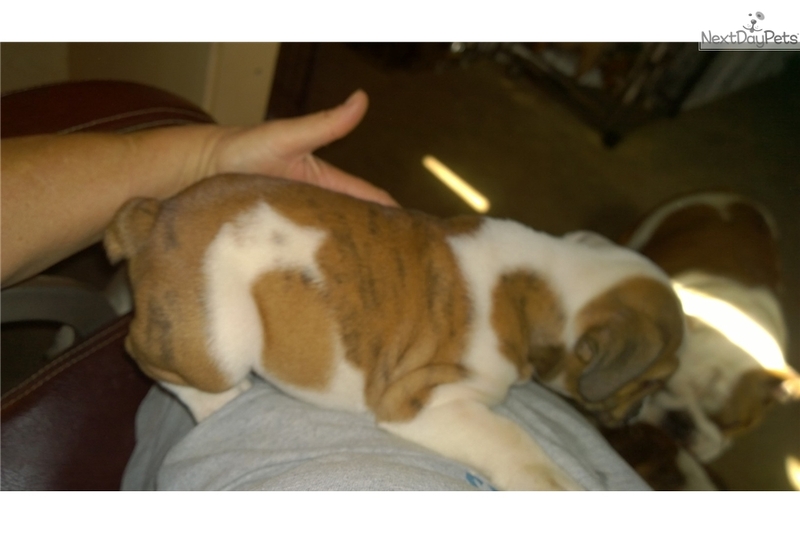 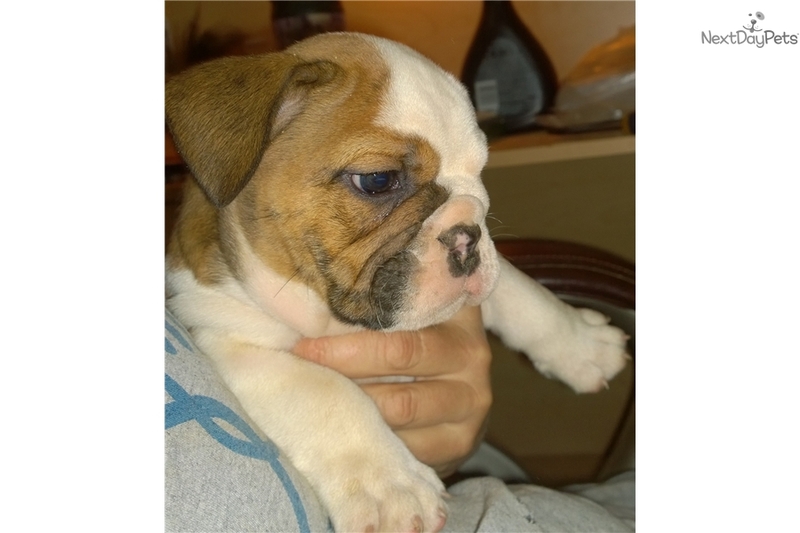 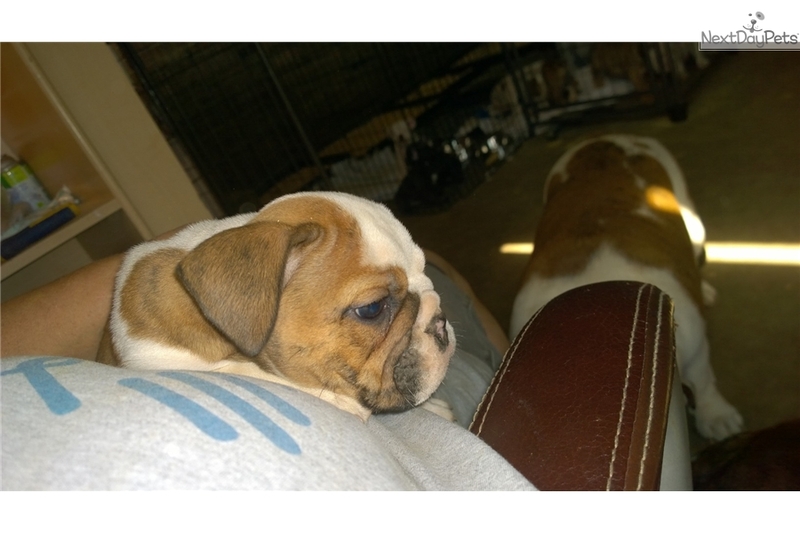 JOHNNY IS A STOCKY AND LOVING LITTLE BULLDOG. 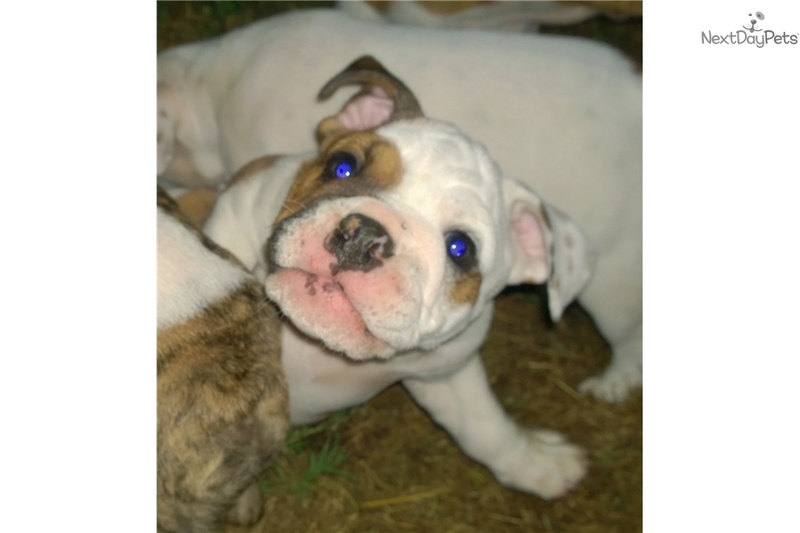 HE IS SO SWEET AND WANTS TO BE WITH YOU AND GIVE YOU THAT LOOK THAT JUST MELTS YOUR HEART. 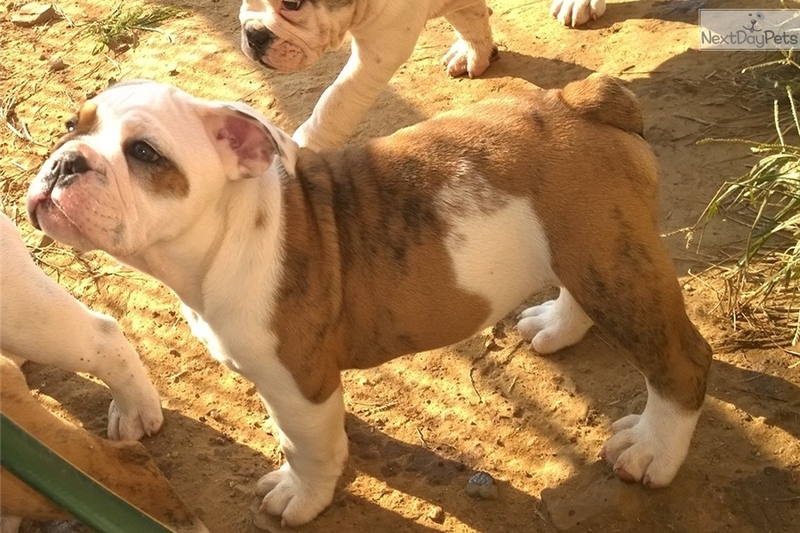 HIS MOM AND DAD ARE BULLDOGS THAT LOOK TUFF AND MAKE YOU PROUD TO BE BY THEIR SIDE. 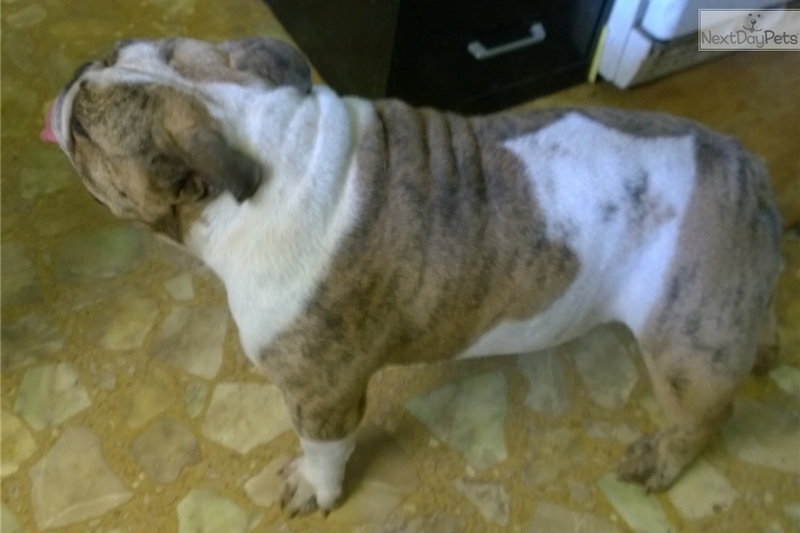 SHOTS AND HEALTH EXAMS ARE UP TO DATE. 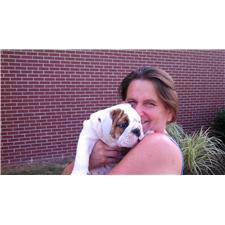 DEWORMING HAS BEEN DONE, JOHNNY IS READY TO JOIN HIS FOREVER PERFECT MATCH FAMILY.